Here is a collection of tones from the latest Sony flagship, the Xperia X. You will get 23 alarm tones, 52 notification tones, 33 ringtones and 18 UI tones in the pack provided below. These are the ringtones you will also find loaded by default on other X series devices likes X Premium and X Performance. You can use the Xperia X tones on any device of your choice, and particularly on all Android phones and tablets. 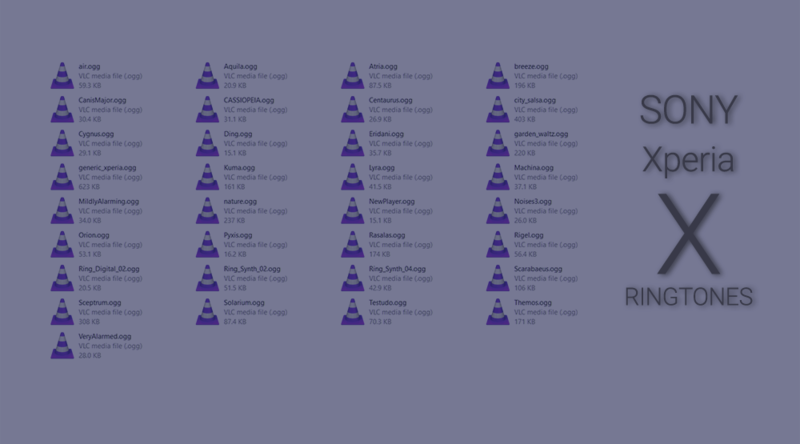 Just download the ringtones pack from below, extract the zip archive, and copy to your Android device (in any folder, or even better, in the respective folder in Media folder). Now go to Settings > Sounds, and choose to set new ringtone. The device will automatically detect the Xperia X tones and present them for selection. Choose your favorite one and hit OK button. Enjoy!